Predestination in Calvinism, however, is the notion that some people are chosen at the outset to be saved, some are not; the day-to-day actions of people are not predetermined. This selection is only made by God and no action of man can change it. If you are chosen, good for you, if not, tough. Fortunately we don't need to spend long on this gloomy outlook, only needing to note two things: that there is no way of knowing whether you are chosen or not, but those who are chosen are the recipients of 'irresistable grace'. This doctrine, loftily inhumane, had above all one consequence for the mood of a generation that acceded to its imposing conclusion: a feeling of tremendous inner loneliness for the individual. For people at the time of the Reformation, in the absolutely decisive matter of their eternal salvation, the human now had to follow a path alone towards a destiny that had been fixed for eternity. No one could help. No priest, since only the chosen can truly understand the word of God. 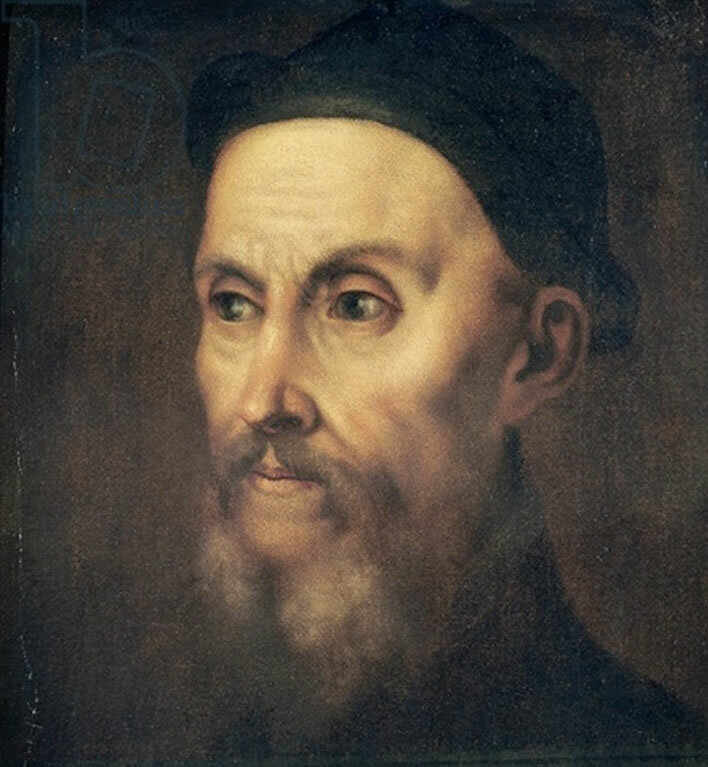 Portrait of John Calvin (1509-1564) by Titian (Tiziano Vecellio) (c.1488-1576). Image: The Reformed Church of France, Paris. At first glance this appears to be a psychological recipe for creating a community of neurotics, probably involving some form of substance abuse. But the solution is given in the answer to that most human question: How do you know if you are one of the elect? You don't. On the one hand, the individual has an absolute obligation to consider himself or herself to be one of the elect and to reject every doubt that this is so as being a trick of the devil. A lack of certainty is a consequence of insufficient faith, which in turn is a sign of deficient grace. […] On the other hand, unrelenting work in the calling is prescribed as the best method of acquiring this sense of self-belief. That, and only that, drives out religious doubt and inspires confidence in the achievement of the state of grace. In place of the humble sinners to whom (if they entrust themselves to God in repentent faith) Luther offers grace, self-confident 'saints' are bred whose existence we recognize in the steely Puritan businessmen of that heroic age of capitalism and, in isolated examples, right down to the present day. We must be clear: such 'unrelenting work in the calling' is not a means to achieve salvation – you are either saved or you are not – but a way of 'freeing yourself from your fear about salvation'. In other words the old saying applies: 'God helps those who help themselves'. Through 'unrelenting work' the Calvinist reinforces the conviction of election and salvation. Whereas for the Catholic, good works stack up over time into 'heavenly credits' as it were, for the Calvinist each good work is at each moment an answer to the question 'elect or unelect?'. Each act is one step in a systematic self-test of the elected status. The rule of the Catholic Church – 'punishing the heretic but being lenient to sinners', as it used to be even more than it is today – is borne nowadays by people with a completely modern economic character just as it was in the richest, most economically developed regions known in the 15th century. The rule of Calvinism, as it was in the 16th century in Geneva and Scotland, around the turn of the 16th and 17th centuries in large parts of the Netherlands, in the 17th century in New England and from time to time in England would be for us the most unbearable form of clerical control of the individual imaginable. That was also how it was experienced by broad strata of the patrician classes of the time in Geneva, as well as in Holland and England. ^ Maurice Evan Hare (1886-1967), 'Limerick' (1905). In ihrer pathetischen Unmenschlichkeit mußte diese Lehre nun für die Stimmung einer Generation, die sich ihrer grandiosen Konsequenz ergab, vor allem eine Folge haben: ein Gefühl einer unerhörten inneren Vereinsamung des einzelnen Individuums. 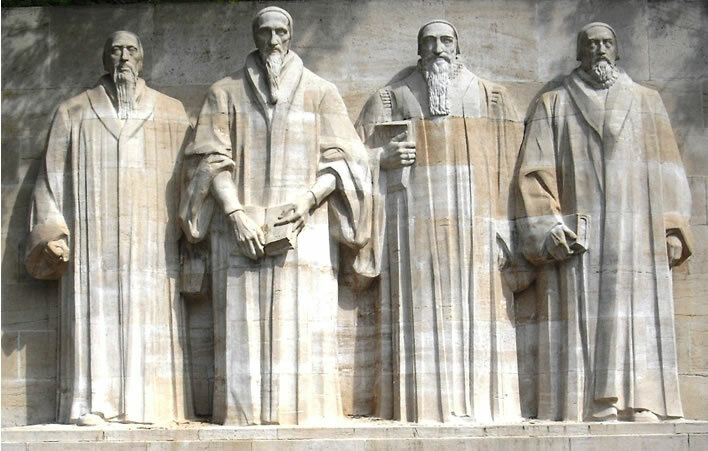 In der für die Menschen der Reformationszeit entscheidendsten Angelegenheit des Lebens: der ewigen Seligkeit, war der Mensch darauf verwiesen, seine Straße einsam zu ziehen, einem von Ewigkeit her feststehenden Schicksal entgegen. Niemand konnte ihm helfen. Kein Prediger: - denn nur der Erwählte kann das Gotteswort spiritualiter verstehen. Es wird einerseits schlechthin zu Pflicht gemacht, sich für erwählt zu halten, und jeden Zweifel als Anfechtung des Teufels abzuweisen, da ja mangelnde Selbstgewißheit Folge unzulänglichen Glaubens, also unzulänglicher Wirkung der Gnade sei. […] Und andererseits wurde, um jene Selbstgewißheit zu erlangen, als hervorragendstes Mittel rastlose Berufsarbeit eingeschärft. Sie und sie allein verscheuche den religiösen Zweifel und gebe die Sicherheit des Gnadenstandes. Die Mahnung des Apostels zum 'Festmachen' der eigenen Berufung wird also hier als Pflicht, im täglichen Kampf sich die subjektive Gewißheit der eigenen Erwähltheit und Rechtfertigung zu erringen, gedeutet. An Stelle der demütigen Sünder, denen Luther, wenn sie in reuigem Glauben sich Gott anvertrauen, die Gnade verheißt, werden so jene selbstgewissen 'Heiligen' gezüchtet, die wir in den stahlharten puritanischen Kaufleuten jenes heroischen Zeitalters des Kapitalismus und in einzelnen Exemplaren bis in die Gegenwart wiederfinden. Although good works are completely unsuitable as a means of achieving blessedness – since the chosen one is still a creature and everything he does is far inferior to the requirements of God – they are indispensable as a sign of selection. They are the technical means not of buying blessedness but of removing the fear about blessedness. So absolut ungeeignet also gute Werke sind, als Mittel zur Erlangung der Seligkeit zu dienen – denn auch der Erwählte bleibt Kreatur, und alles was er tut bleibt in unendlichem Abstand hinter Gottes Anforderungen zurück, – so unentbehrlich sind sie als Zeichen der Erwählung. Sie sind das technische Mittel, nicht: die Seligkeit zu erkaufen, sondern: die Angst um die Seligkeit loszuwerden. Gott dem hilft, der sich selber hilft. Die Herrschaft der katholischen Kirche, – 'die Ketzer strafend, doch den Sündern mild', wie sie früher noch mehr als heute war, –	ertragen in der Gegenwart auch Völker von durchaus moderner wirtschaftlicher Physiognomie und ebenso ertrugen sie die reichsten, ökonomisch entwickelsten Gebiete, welche um die Wende des 15. Jahrhunderts die Erde kannte. Die Herrschaft des Calvinismus, so wie sie im 16. Jahrhundert in Genf und Schottland, um die Wende des 16. und 17. in großen Teilen der Niederlande, im 17. im Neuengland und zeitweise in England selbst in Kraft stand, wäre für uns die schlechthin unerträglichste Form der kirchlichen Kontrolle des einzelnen, die es geben konnte. Ganz ebenso wurde sie auch von breiten Schichten des alten Patriziats der damaligen Zeit, in Genf sowohl wie in Holland und England, empfunden.